Producer of Fish Snacks "WARM SEAS"
The «Warm Seas» (Tepliye Moria, rus. – Теплые моря) company with over 19 years of experience is the largest producer and importer of fish snacks in Ukraine. Our highly professional team ensures the use of highly innovative and safe technologies in the sphere of goods production. Over the 19 years of being on the market we have achieved some outstanding results in terms of quality of our product, which is confirmed by the European food safety certificate ISO 22000: 2007. OUR GOAL: To produce natural and qualitative sea products to provide people with the opportunity to have a proper rest, while socialiing in pleasant and conformable atmosphere. In 2017 we received ISO 22000:2007 quality certificate. 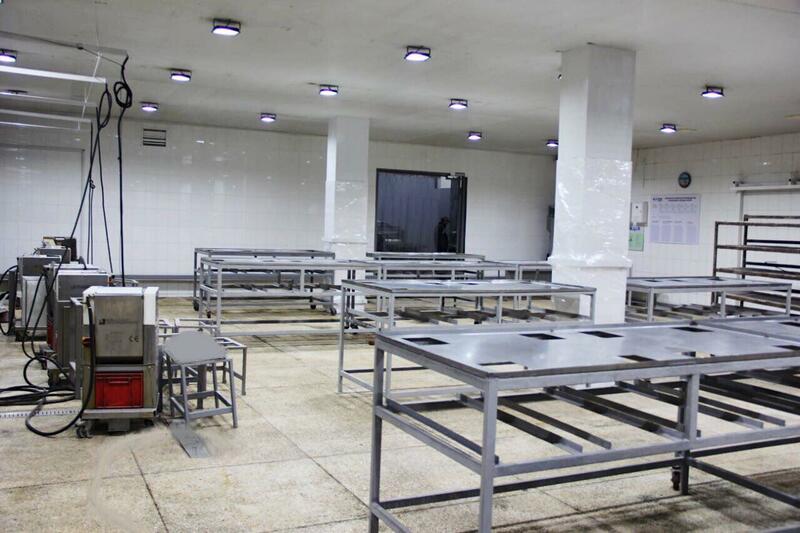 We have implemented the safe food management system – Hazard Analysis and Critical Control Points. We have extended our own motor-vehicle pool. We have launched a new fish snack production line. We have sophisticated our production capacity. We have launched our own laboratory on the production territory. We have increased the percentage of covering the Ukrainian market due to the “Warm seas” products. We have developed and set a well-defined “Warm seas” business trip mechanism being carried out throughout the regions. We have established a delivery product system to all regions of Ukraine. We have launched our own-developed team training system “Warm seas” in collaboration with the most famous world’s trainers. 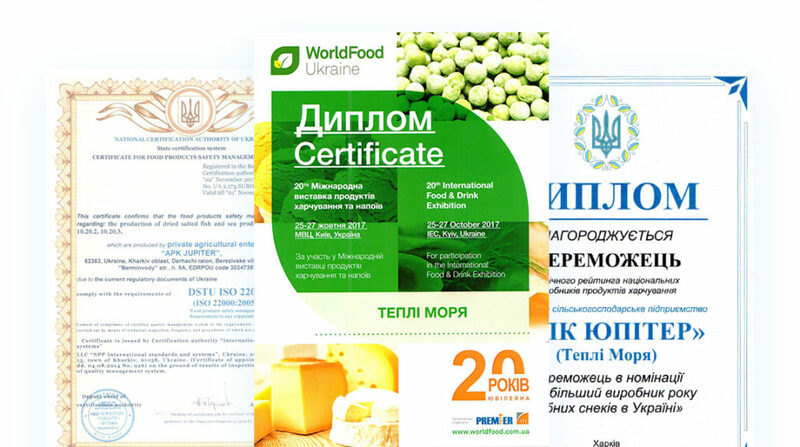 We have achieved the high level of Brand’s visibility at the inter-Ukrainian food product Expo “WORLD FOOD UKRAINE”. We have modernized the accounting system at the enterprise as well as developed an innovative programme with a wide choice of functions. The “Warm seas” company’s production complies with European standards! Our products comply with European standards. We were awarded with ISO 22000:2007 certificate. The safety food management system Hazard Analysis and Critical Control Points! In 2017, the “Warm seas” company was distinguished by its Top-production line at the World Food Ukraine – the largest Ukrainian Expo of foods and drinks. Due to the Expo, we have achieved the all-Ukrainian acknowledgement and positive feedback about the ¨Warm seas¨ trade mark. The quality seal is confirmed by the diploma.